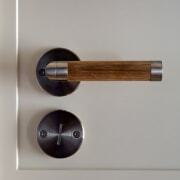 Handles for this Millbrook Resort home were custom-made by Chant. Challenging golf holes, spectacular alpine scenery, and world-class accommodation and dining this is Millbrook near Queenstown. 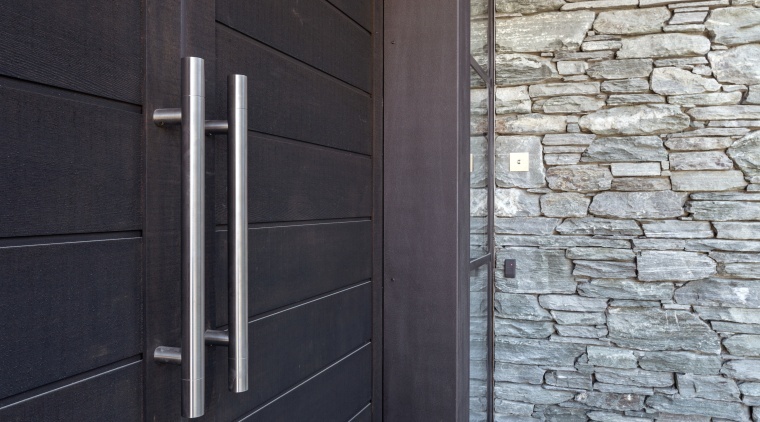 With everything specified to the highest standard, the door handles on this featured Millbrook Resort house were not left out of the wider upmarket equation. The custom solutions were crafted and supplied by Chant. 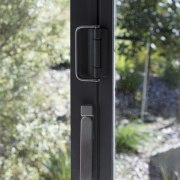 Based in Auckland but supplying national and, increasingly, international projects, Chant specialises in both off-the-shelf and customised door and window handles from its own sculptural ranges. 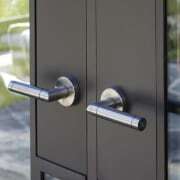 A large manufacturing facility and wealth of design expertise means the company can shape a handle, lock, or latch to its specific environment. And such was the case at this Millbrook house, says director and company owner Graham Chant. "All hardware has been custom made for this project, using super-rugged 316 stainless steel and Black Maire timber, possibly New Zealand's hardest native timber. This beautiful, rich-toned species was chosen to match the home's wood flooring." 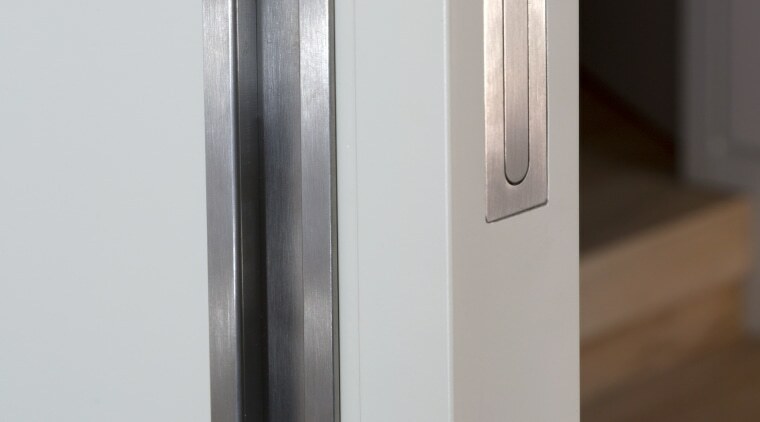 Flush stainless steel pulls from Chant complement doors at Millbrook Resort. 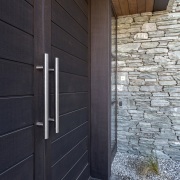 Similarly, the resort home's external hardware was also custom made to suit the steel joinery. Besides looking and feeling the part, Chant's hardware uses the latest locking mechanisms. "Our new, sleek-operating magnetic locks and latches were chosen for this project. 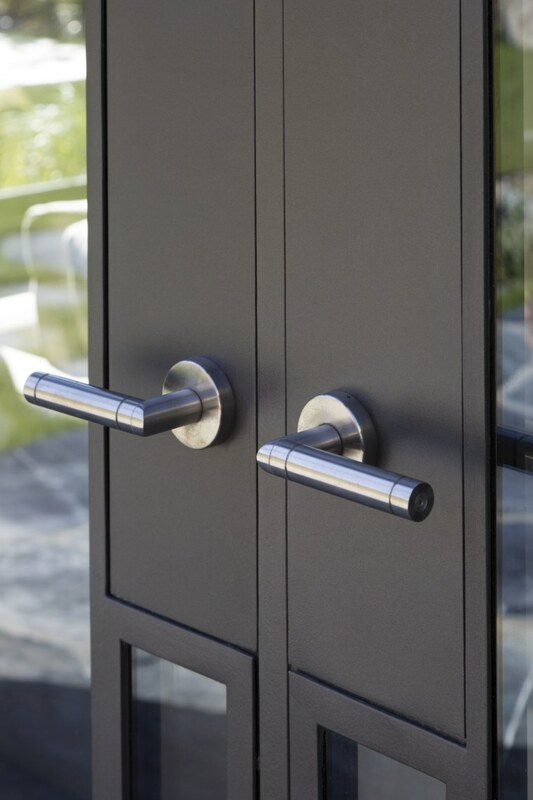 These were designed with custom backsets, so the handles are symmetrically centred on the doors and windows. 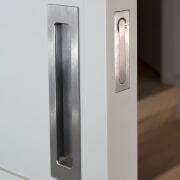 Stainless steel pulls by Chant feature at this Millbrook Resort home. For details, contact Chant, 136 Marua Rd, Ellerslie, Auckland, phone (09) 526 4048. Email: sales@chanthardware.com, or alternatively visit the website: www.chanthardware.com.